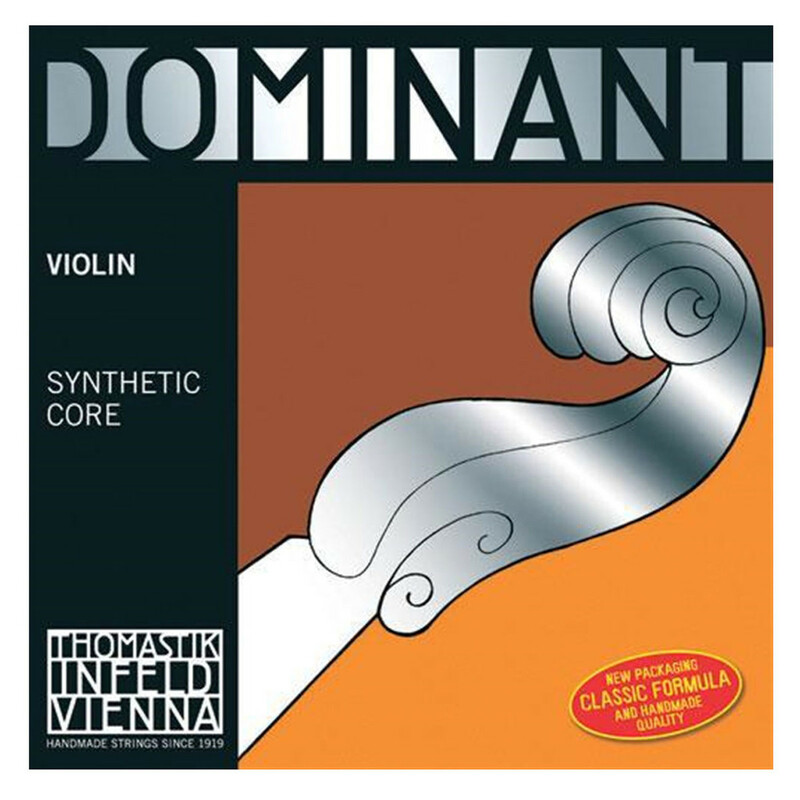 The Thomastik Dominant 1/4 Violin A String offers a great blend of warmth, brilliance and clarity to your playing. The Dominant strings feature a flexible synthetic core that brings an identical likeness to a real gut string. The string is aluminium wound for great flexibility and tonal versatility. The sound produced is soft, yet maintains its clarity amongst the rich overtones. The string is designed for 1/4 size violins, so will naturally bring forward the high pitched harmonics. There is also a controlled resonance provided by the violin size, so the Dominant string will have clear and strong voice.